Phishing attacks continue to be successful and are a genre of email attacks becoming more focused through spear phishing, which is a directed attack against a certain individual. In order to counter this threat and ultimately keep data safe and compliance efforts in line, organizations need a mix of technical controls and awareness training of high-profile targets. 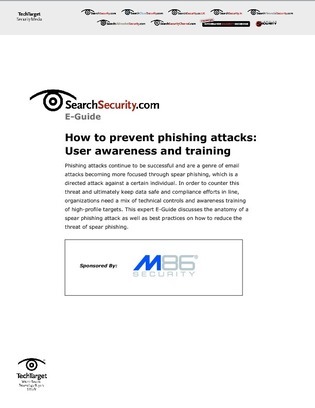 This expert E-Guide discusses the anatomy of a spear phishing attack as well as best practices on how to reduce the threat of spear phishing.